As my focus has once again shifted to the holiday season, I have been doing a LOT of “window shopping” for knitting supplies. I am always delighted to find beautiful and inspiring materials; but sometimes I fall in love with yarn and patterns I will never actually knit. Not because the pattern is too difficult, but because I’m just not that type of knitter. 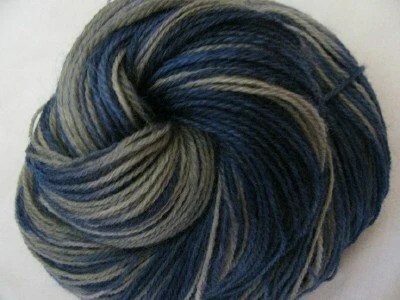 For example, from Wool Hand Crafts’ Etsy Shop, I am loving this Hand Dyed Wool Sock Yarn in Blue-Gray. I want to knit up a pair of Stormy Socks in this yarn, which is funny, because I have yet to finish a pair of socks in my knitting career (Second Sock Syndrome is no joke). I have embarked on at least 3 separate sock-knitting adventures and each has never resulted in more than one and a half socks. This is clearly proof that I am not a Sock Knitter. When it comes to socks, the inspiration has never come to full fruition; but that has not stopped me from buying more sock yarn and casting on more new sock patterns. 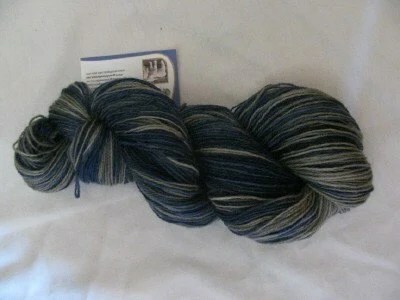 I have even chosen the perfect sock pattern for this yarn: Caretta Caretta by Alice Yu. 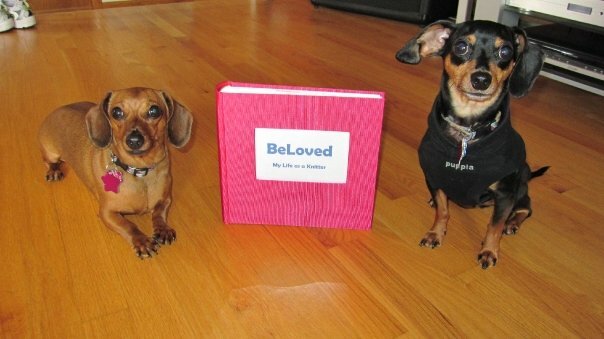 A while back, when I began knitting, I started the “BeLovedKnits Project.” This was my commitment to take a photo of every finished knitting project with it’s recipient and putting it in a special photo album just for my knitting projects. When I thought about my project, I had visions of showing my grandchildren album upon album of my life’s work as a knitter and the many many faces of the people whom I had touched with my knitting. This album wasn’t just for me to showboat, I was hoping to document my history as a knitter and to capture the special and personal nature of my craft. This is, I still believe, a wonderful plan. There’s just one problem: I haven’t kept up with it. I always find myself so overcome with joy and excitement when I finish a project I knit for someone else, that I hop in the car and finish weaving in my ends on the way to deliver it to them. Half the time I don’t even wrap it, and I certainly don’t have the patience to stop and take photos of it. And that’s a problem; every time I deliver a knitted item to someone without taking the time to photograph it, I regret it. I feel like I am losing pieces of my knitting history, which, for me is heartbreaking. As much as I enjoy gifting my knits, I feel a personal relationship with each project and I really believe I am gifting not just a finished object but also a piece of myself. Knowing how important my knits are to me, I have decided to renew my commitment to my BeLoved Knits Project. I will photograph every FO with it’s recipient. 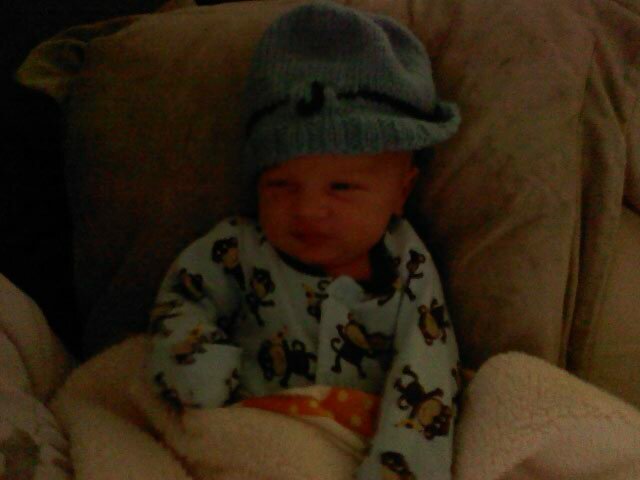 That is Jaxson, modeling his hat with one stripe and a little “j”. He looks adorable in it now, I can’t imagine how cute it will look when he grows into it. I was inspired by his Aunt Maria, who loves him more than you could ever imagine, to knit something unique for this special little boy. Jaxson is as special to Maria as my knitting is to me, and perhaps that is why this little baby has inspired me to unearth my project. How do you document your knitting? Do you photograph everything?